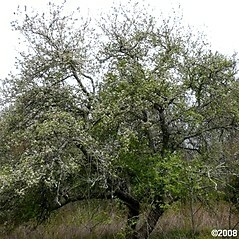 This species is the common cultivated apple. Its hairy sepals wither, but persist on the base of the fruit. 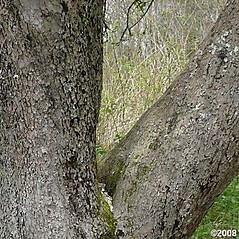 The blunt-toothed leaves are hairy beneath. 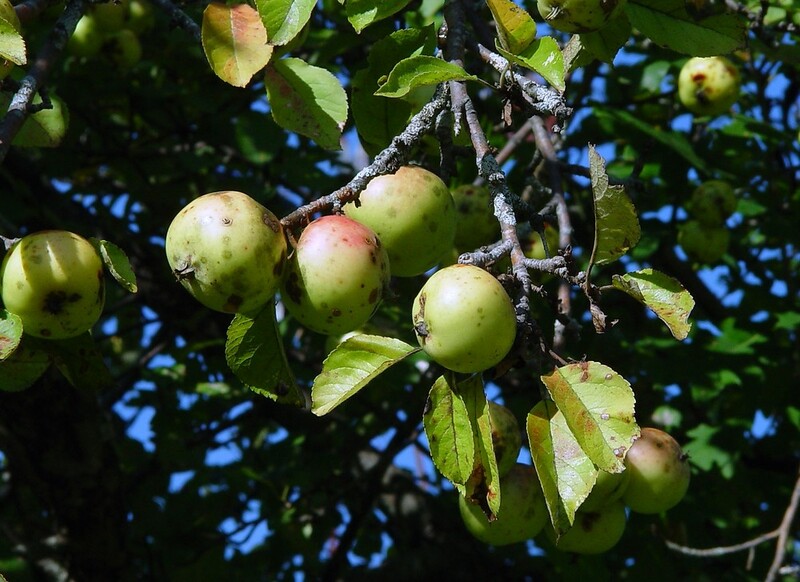 The fruits, called pomes, are edible and widely consumed by insects, birds, insects, and people. 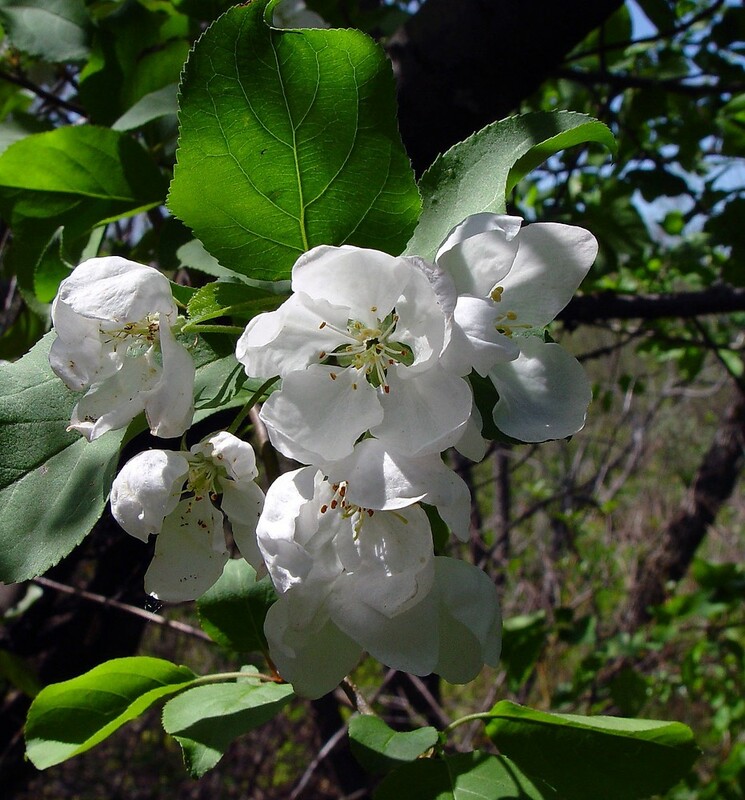 The spreading crown produces abundant white-pink flowers in early spring. 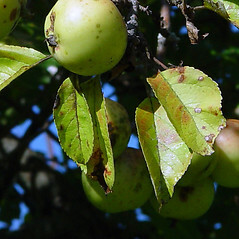 sepals deciduous from fruit and fruit 0.8-1 cm in diameter (vs. M. pumila, with the sepals persistent on fruit and fruit mostly 6-12 cm in diameter). leaf blade sharply toothed and fruit egg-shaped, 2-3.5 cm in diameter (vs. M. pumila, with leaf blades somewhat bluntly toothed and fruit spherical or nearly so, mostly 6-12 cm in diameter). 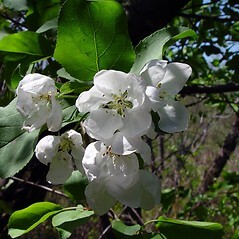 Malus sylvestris, of american authors not P. Mill. 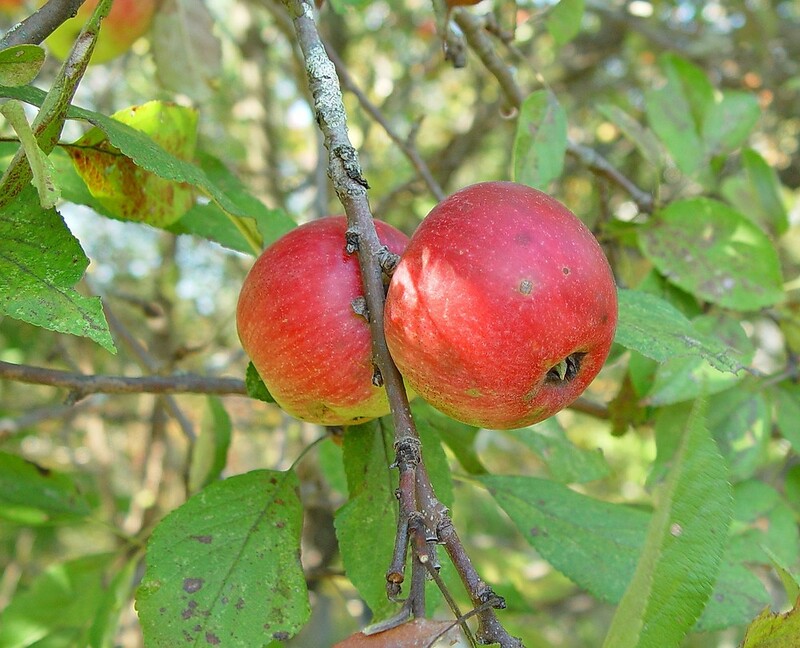 cultivated apple. 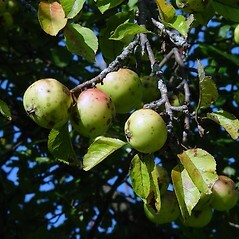 Malus domestica (Borkh.) Borkh. 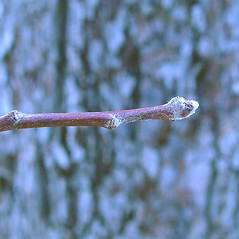 ; M. sylvestris, auct. non P. Mill. 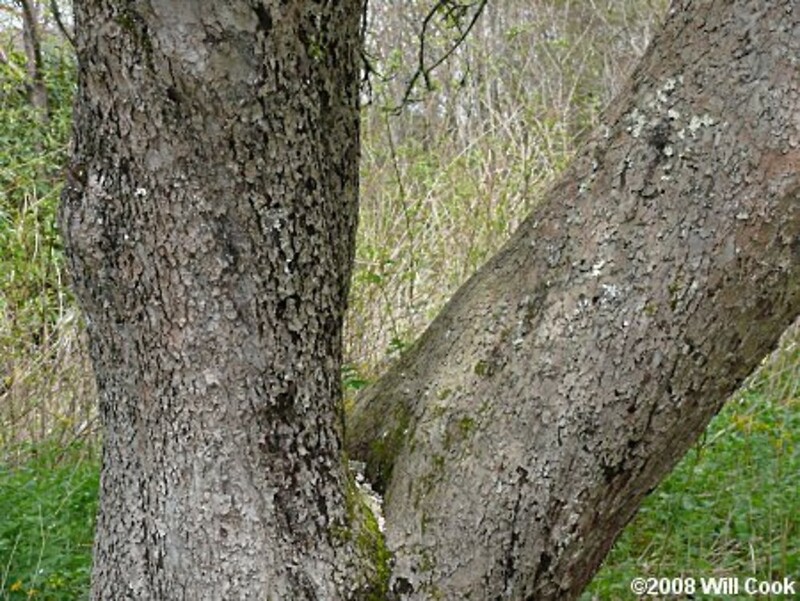 ; Pyrus pumila (P. Mill.) K. Koch • CT, MA, ME, NH, RI, VT. Roadsides, forest borders, successional fields, orchards, areas of habitation. 4×M. 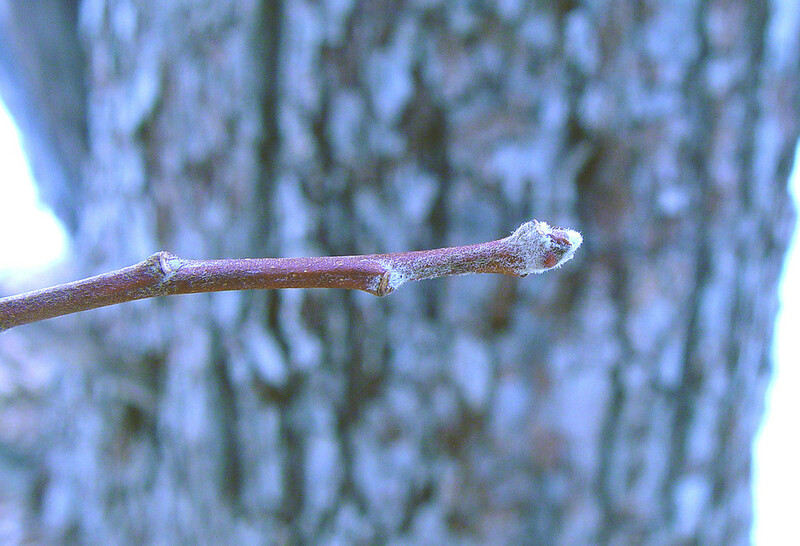 ioensis (Wood) Britt. 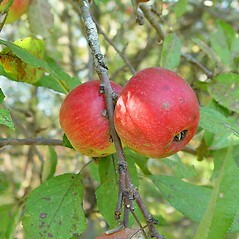 Malus ×‌soulardii (Bailey) Britt. 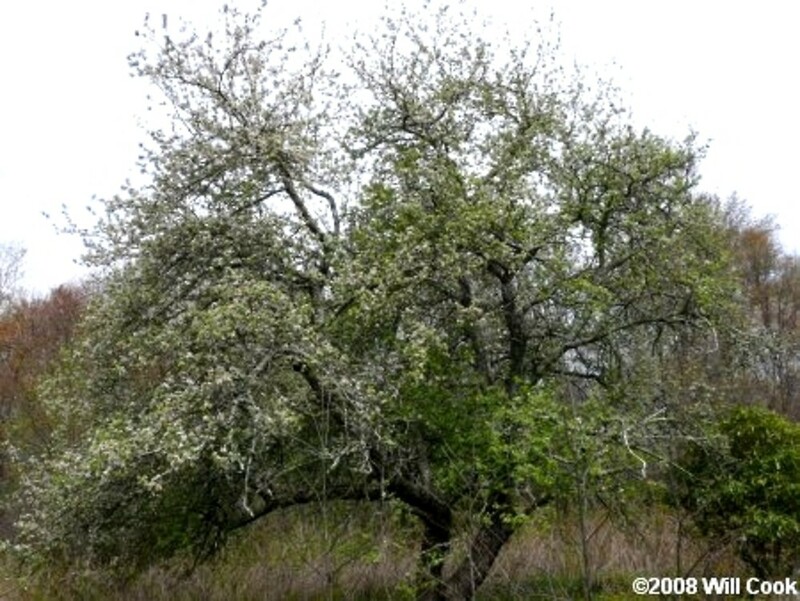 is a very rare apple hybrid known from MA. It is recognized by its broad-ovate to elliptic-ovate leaf blades that are sometimes slightly lobed, have irregularly crenate margins, and often an obtuse apex, short and stout, tomentose pedicels, and a yellow pome that is often red tinged and 50 mm or more in diameter. 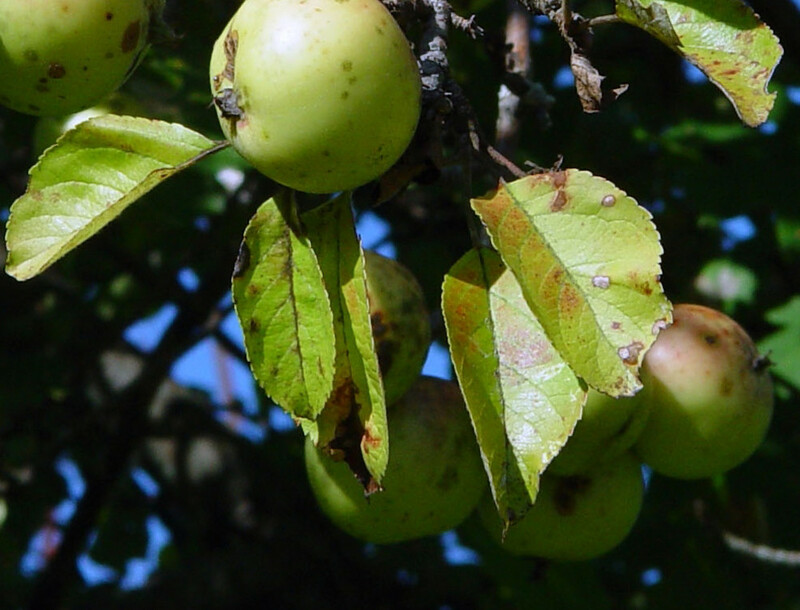 Malus sieboldii, a naturalized species that has some leaf blades lobed, is different in its sharply serrate leaf blades and small pomes (6–8 mm in diameter).